The Patient Protection and Affordable Care Act (PPACA) is a federal law that requires almost everyone in the United States to have medical coverage. Form 1095-B is a form which reports the type of health benefits coverage and the period of coverage for the prior year for pre-age-65 retirees, COBRA recipients, and their dependents covered by the health insurance policy. For each tax year, people who do not have a minimal level of coverage may be required to pay a penalty to the Internal Revenue Service (IRS). Your Form 1095-B is proof that you and your covered dependents had medical coverage, so you can report it on your tax filing and avoid paying the penalty. You will need this form to complete your federal tax return. COBRA recipients covered by the SHBP or SEHBP. When you receive your Form 1095-B, please check the information carefully. 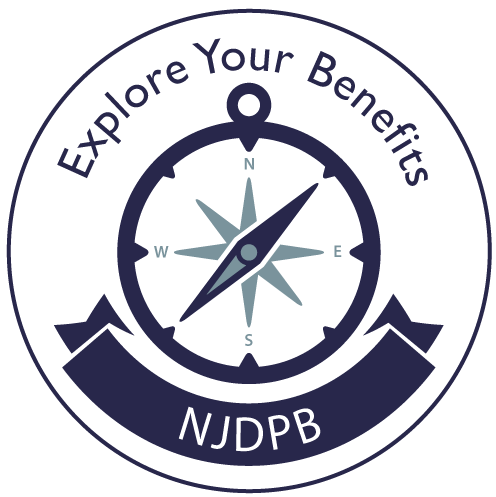 If there are any errors, contact the NJDPB Office of Client Services at (609) 292-7524. Part I. Responsible Individual, lines 1–9: reports information about the member carrying the coverage. Part II. Employer-Sponsored Coverage, lines 10–15: provides information for employer-sponsored coverage (this part is blank for SHBP and SEHBP covered members). Part III. Issuer or Other Coverage Provider, lines 16–22: reports information about the coverage provider (this part lists "State of New Jersey - Division of Pensions and Benefits" as "Issuer" for SHBP and SEHBP covered members). Part IV. Covered Individuals, lines 23–28: lists the name and information for each covered individual during the tax year. For each covered individual there is a box that will be checked if the person was covered by the SHBP/SEHBP for all 12 months of the year. If an individual's SHBP/SEHBP coverage ended or was no longer the primary coverage for the full year (i.e., Medicare became the primary coverage mid-year), there is a box for each month; the months the person was covered by the SHBP/SEHBP only will be checked.